Jacques Peretti investigates how the super-rich are transforming Britain. He looks at why the wealthy were drawn to Britain and meets the super-rich themselves. Britain has more billionaires per head than any other country on earth, yet we're also the most unequal nation in Europe. We were told the super-rich would make us richer too, so why hasn't that happened, and what does the arrival of their astronomical wealth really mean for the rest of us? 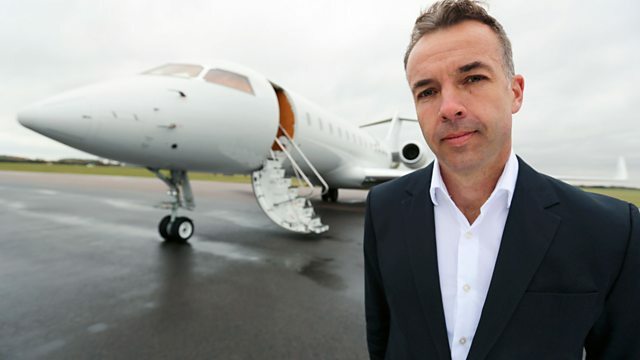 In programme one of this two-part series, Jacques Peretti looks at how the super-rich first exploited an obscure legal loophole to make Britain one of the most attractive tax havens on earth. He argues this was no accident. Wooing the super-rich was a deliberate strategy by government to reconfigure the British economy, under the belief their wealth would trickle down to the rest of us. But it didn't. The OECD now say the British economy would have been 20 per cent bigger had we not pursued the super-rich. So who sold us the fallacy and why? Jacques meets the super-rich themselves - from those buying premiership football clubs to the billionaires who are breaking ranks to criticise the decisions that made them richer and society more unequal. Jacques challenges the architects of these policies, as well as tracking down the foreign multimillionaires who are buying up Britain and turning us from a nation of property owners to a nation of renters. He uncovers new research that shows growing inequality has been driven by this key factor of unaffordable property, and the far-reaching effect this will have on every aspect of our lives. Inequality is reshaping Britain into two simple classes: the 99 per cent and the one per cent. This is the story of how it happened and what it means for all of us.